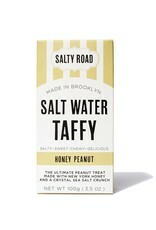 Sweet and salty. 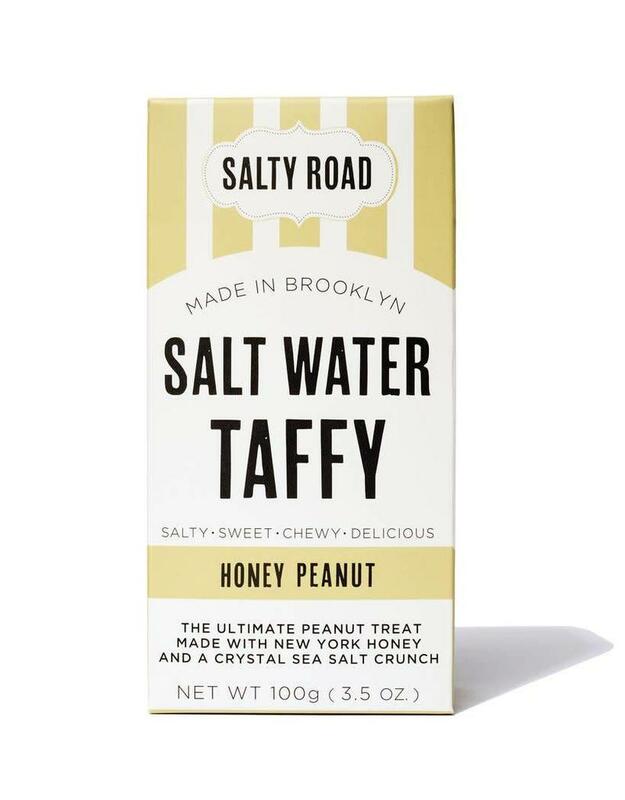 A blend of creamy peanut butter, a touch vanilla and lots of coarse ground sea salt, a splash of honey and you have this masterpiece. 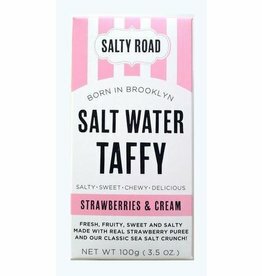 The perfect balance of salty, sweet, and a little protein! Each box weighs 3.5 oz. and contains 13-15 pieces. Ingredients: corn syrup, sugar, evaporated milk, peanut butter (peanuts, evaporated cane juice, palm fruit oil, salt), honey, palm fruit oil, sea salt, vanilla extract. There is no gluten in any of the ingredients but please be aware we do not keep a gluten free kitchen.